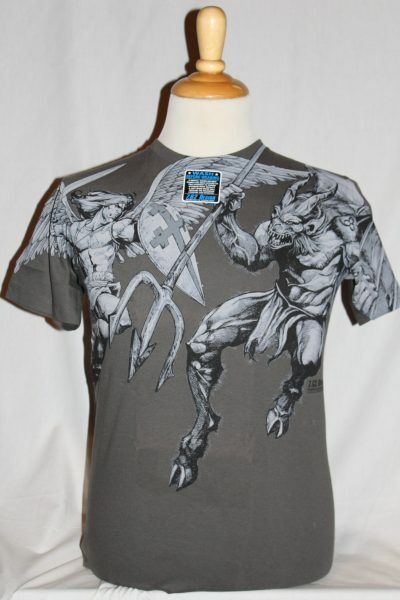 The St. Michael Vengeance is a two sided jumbo print shirt in charcoal. 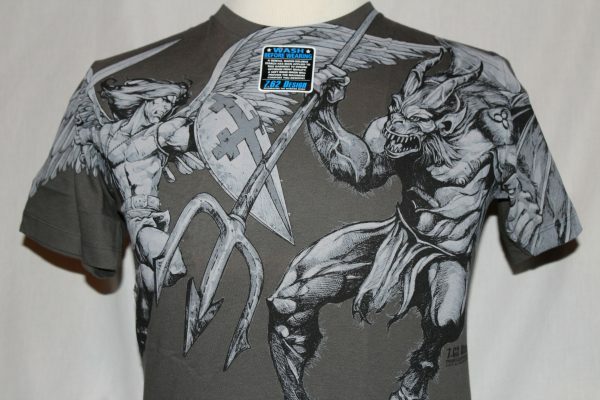 Front Design: St.Michael in combat with winged serpent. 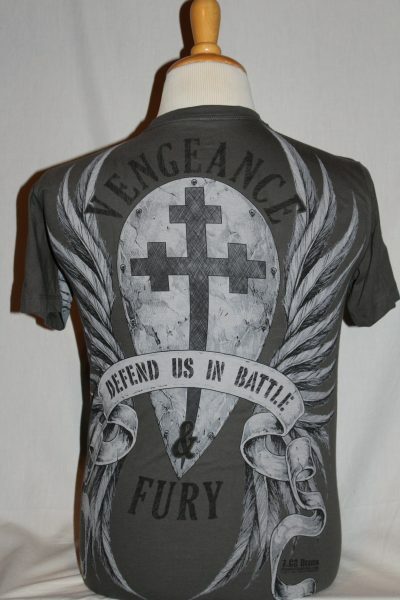 Back Design: Cross, wings, shield, and text.